Our ability to design and build machines from scratch, means we can manufacture equipment to suit individual customer needs. Please contact us with your requirements and we will work with you to develop machines that will maximise your returns. 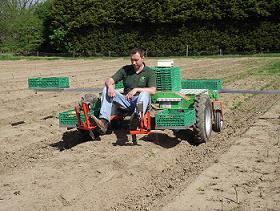 The VHS green crop sponge seeder is now available to seed carrot seeds. Contact us for details and costs. VHS work with a variety of European Agents, this enables us to supply our customers with a wide range of machines and equipment. 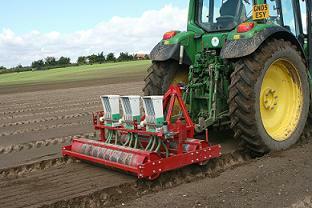 Two recent additions are Ecogreen who manufacture asparagus harvesters and Westtrack, manufacturers of a variety of tractor tracks.